Q. Should I EQ first or compress first? I was told recently that EQ and filtering should be done after compression, because the compression colours the EQ if done before. Is this so? And if so, why? Isn't it a good idea at least to filter out the low noise you don't want before compression? 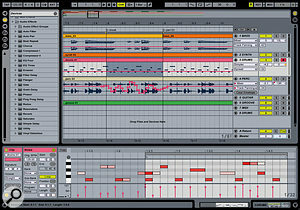 Ableton's Live Lite comes bundled with many affordable audio interfaces and is fairly well-equipped, as this screenshot shows. SOS contributor Mike Senior replies: There are no hard and fast rules here. A lot of it has to do with the way you work, and for subtle EQ settings I don't think it's particularly important which way around you plumb the two processors. However, in principle there's one straightforward reason why it makes sense to compress before you EQ, especially when you're first learning about processing. Let's say, for the moment, that you've already set up a compression sound you like for a particular track in your mix, and then decide to use a pre-compression equaliser to adjust the track's tonality. Any boost or cut you apply with the EQ controls will change the overall level of the signal relative to the compressor threshold setting you've already chosen, and will therefore mess with your carefully tweaked compression sound, unless you keep revisiting the threshold and/or ratio controls to compensate. Pre-compression EQ also usually appears less responsive than post-compression EQ, as the compressor's gain changes fight the EQ gain adjustments. This can be disconcerting when you're still getting to grips with this kind of processing, and it encourages you to go for heavier processing than is actually necessary. As there are no hard and fast rules for the order in which you arrange EQs and compressors, many products (both software and hardware) feature dynamics-ordering switches. The controls of Metric Halo's Channel Strip plug-in (left) and Focusrite's ISA430 unit (right) are shown here. 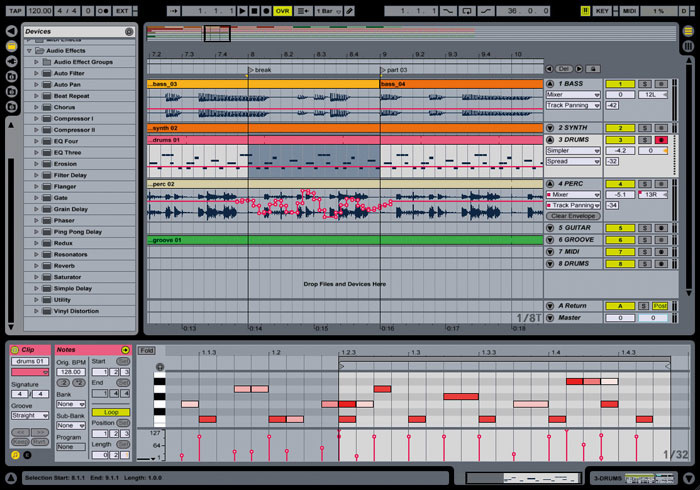 In practice, I find that I tend to EQ after I compress for most common tonal-shaping tasks, so that I don't have to worry about the two processes interacting. If ever I find myself EQ'ing before the compressor it's usually when I'm having problems getting the compressor to respond suitably. A common example of this is when an acoustic guitar has been recorded with a mic too close to the sound hole. A mic in this position often captures unappealing low-frequency resonances, and these can really hit the compressor hard, causing it to respond erratically to certain notes and strums and not others. Cutting the low-frequency resonances before the compressor can help tame the low-frequency anomalies before they reach the compressor, making for more transparent and natural processing. No amount of low-frequency EQ after the compressor can do this. Another situation like this is where a singer occasionally taps their foot on their mic stand: the low-frequency thump will trigger a brief and unmusical gain dip from the compressor unless low-frequency EQ has been used to remove it first.